"Best for transportation of shirt and knitwear "
Maximize automatization in pressing transportation, which improves working efficiency and saves labor; working together with ironing table, shirt folding table, etc. could achieve line processing and production of garment pressing, packing, etc. Avoid chance of wrinkle and dirty during human transportation. Standard length: 8ft per section; Nonstandard length is also available according to the customers’ special requirements. Circulation cycling to transport garment to another section or department. 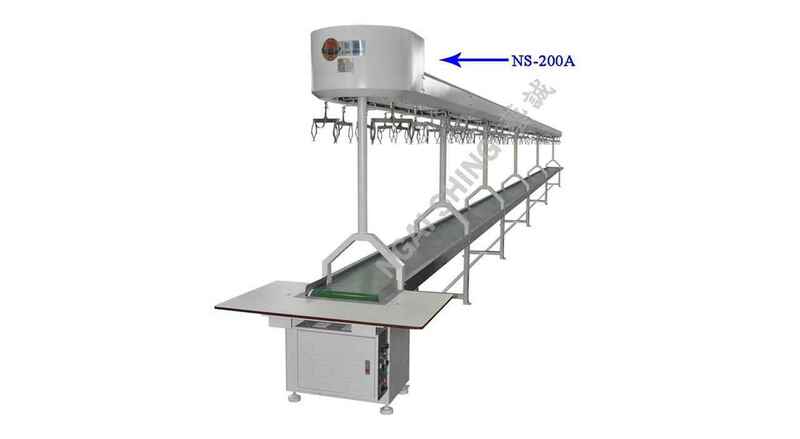 Special conveyor structure can keep the garment clean without dirty. 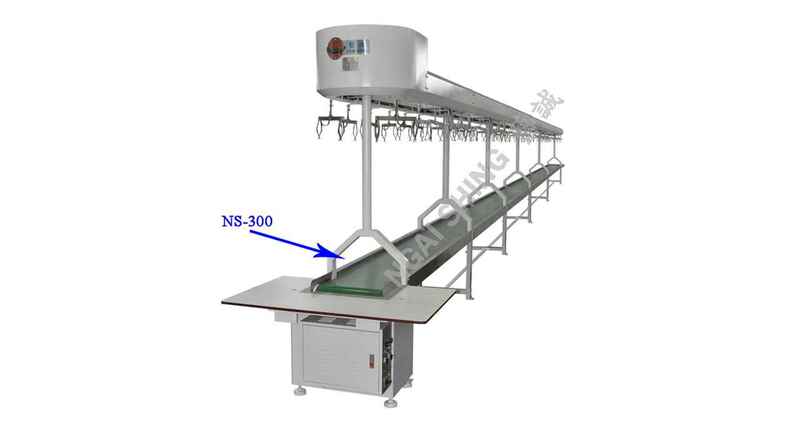 NS-300 lower belt conveyor transports the pressed and folded garment to packing department. Delivered part: Speed control system. Optional parts: Hanger, trousers hanger, clip.